Paradoxically, the pinnacle of technology development–the Worldwide Web–has provided us with the most personalized communication medium ever. The success of Facebook, Twitter, and other social sites , show just how personal the Web has become. Personal now includes pictures of you, your family, and your friends, and everybody’s puppies and kittens., Personal also includes your innermost profound thoughts (in 140 characters). Every day, we all can now have an experience equivalent to what it used to be like to get your picture or name in the newspaper; but now many more millions can see it, and the image will endure–not expire, like yesterday’s newspaper. We’ve become used to seeing real people,–personalized up-to-date images–served up with our daily information bits. The cold, hard , cerebral technology of processing zeroes and ones has given us the warmest and fuzziest format to express ourselves—-an interesting paradox; but the question becomes: How do we best use this technical art form? WordPress website themes provide just the right amount of standardized features and open space to create sites that fully communicate individual attributes and features. The layout and format of WordPress sites provide the most effective size and location relations and ratios of images to content, and a clean and clear platform to create customized content. The custom content could–and should– include a blog with more than 140 characters of your own thoughts, and images that you choose to display that particular day. This results in websites that express the uniqueness of the persons or enterprises that are the subject of the site. WordPress themed sites live up to today’s demand for personalized technology. The look and feel of WordPress sites provide maximum freedom of expression, while the Open Source architecture and structure of the site provide maximum stability and security. Blazing Systems LLC designs, develops, hosts, and maintains WordPress websites for clients who want to express themselves most effectively. Open Source. Word Press is an Open Source system. No license fees are charged for its use. Standards Compliant. WordPress conforms to standards developed by the World Wide Web Consortium (W3C), an international community led by Web inventor Tim Berners-Lee and CEO Jeffrey Jaffe. W3 C’s mission is “to lead the Web to its full potential .” W3C standards define an Open Web Platform for development and design, in HTML, CSS, SVG, AJAX, and other technologies for web applications and how to make pages accessible to people with disabilities (WCAG), how to internationalize them, and how to make them work on mobile devices. Other W3C standards include the Semantic Web, which refers to helping to support”a web of data,” to enable computers to do more useful work and to develop systems that can support trusted interactions over the network. “Semantic data” refers to W3C’s vision of the web of linked data, enabling people to create data stores on the web, build vocabularies, and create rules for handling data. Powerfully flexible. Word Press sites are available in hundreds of different themes, which define how the site looks and what features are available to visitors. Similarly, the WordPress platform supports almost 25,000 plugins—features that can be deployed on individual websites to customize them to be most effective. Plugins include functions like site maps, SEO, social media, galleries, polls, and guestbooks. Enhance the attraction of your site with a blog—Word Press’ original focus is still a strength. Blazing Systems builds, hosts, and maintains Word Press websites. Hundreds of options, including a blog that works to increase your visibility on the web, are great options to have, but having an expert to help choose and deploy those options makes it even better. To get the full advantage of all the powerful tools and customization available with the Word Press platform, you need a partner with the experience and skills to maximize the value of your site, and to securely host and maintain it —-all for an affordable cost.. Get a great website with no hassle. Dell, the company that mastered the low-cost commodity distribution strategy for PCs, is struggling, and its board is asking its founder to buy it and take it private. HP, the company that tried to save itself by buying Compaq, perhaps the premier desktop provider,is thrashing around , generating rumors of a break-up. 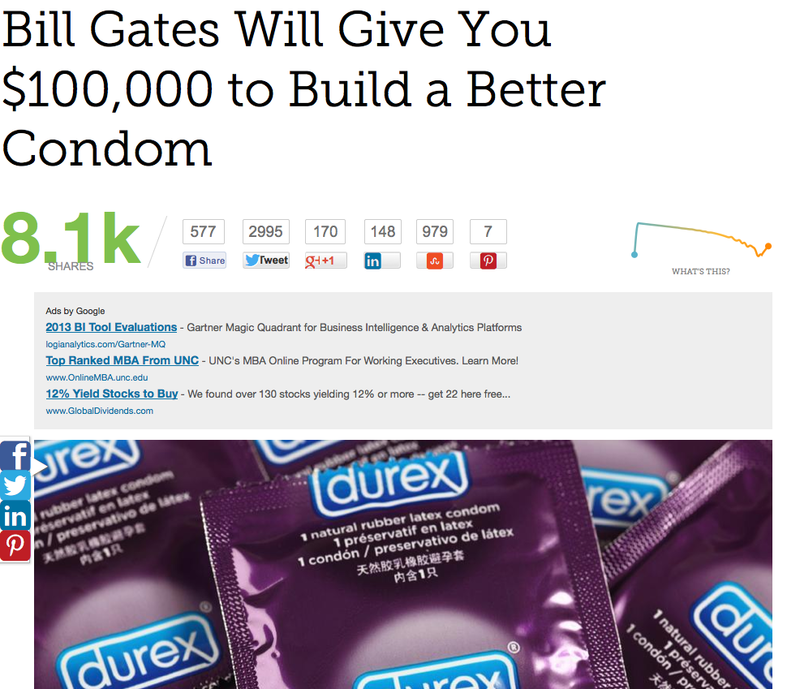 BillGates, the master of the PC product world, is now seeking to invest,not in PC-related businesses, but rather in the next-generation condom maker! These major events have been driven by more than just the rise in mobile phones, but the smartphone is clearly taking over some of the key uses previously performed by the PC—like eCommerce ( now it’s mCommerce. ) Dell–although they undoubtedly beat the market by being the cost/price leader, never did get a toehold in account management via professional services. Dell was just the cheapest commodity box maker. HP, for years looked successful because of their dominance in the desktop printer market. The results produced by that dominance masked the deep problems and old-fashioned vision inside the company. They never succeeded as a system solution provider, and their service business never evolved from the primitive break/fix cost center model. They hoped that buying Compaq’s line of high-end servers would help them succeed as a mid-range system provider, but their stodgy approach to services locked them into the commodity product corner. When you live by the product–instead of providing needed canadian online pharmacy services to your customers— you die when the product gravy train is interrupted by the next best thing. 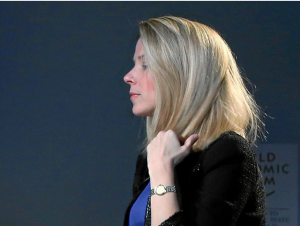 Yahoo CEO, Marissa Mayer,recently made news when she banned all Work-from -Home (WFH) for all Yahoo employees. Part of the reason why this was news-worthy is that Yahoo had been aggressive in extending WFH and flexible hours to employees. In the early years of the commercialization of the Internet—during the late 90s–Yahoo was one of the pillars of the Internet community. Its success helped fuel the irrational exuberance that inflated the Internet Bubble. In those days, Yahoo was an innovator, a leader, and a cool place to work; and it was growing rapidly. It was a place you could go to find other places on the Internet—a kind of directory of websites. Yahoo ‘s revenue model was unique to the technology industry,but it was basically the same as network television’s—sponsors paying for advertisements. Yahoo unfortunately got caught up in the marketing “wisdom” of the day, which said, “Just like with Nielsen ratings in TV, the more eyes you have on the screen, the more you can charge advertisers. So, instead of concentrating on building a fast,efficient search of the Internet’s content, Yahoo tried to be a destination itself–a place where users would visit and spend lots of time looking at and clicking on ads. The Internet marketing gurus called it making your site “sticky.” Greatly underestimating the intelligence of the users, Yahoo thought people needed a “portal” to the Internet, a starting point, an on-ramp to the Information Highway. So they built a site that streamed information at the users,who were actually ready for a gateway that would take them quickly to where they wanted to go. So, instead of being Google, Yahoo ended up being a sticky-portal-thing for people who needed their Internet spoonfed to them. Yahoo missed the search engine market, just as it would miss the social media market; but it was successful right up through 2000, when the Bubble burst. The history of the computer industry is filled with examples of companies that enjoyed rapid growth spurts, which were followed by periods of correction. Even that old grey battleship, IBM, had to re-trench in the 80s after a phenomenal ramp up during the 50s and 60s (when Ross Perot was an IBM salesman, which he said was “Like selling umbrellas on a rainy day.”) When technology companies are in the rocketing revenue-growth phase, they tend to develop arrogance and hubris.. “Hey …We must be smart—Look at how well we’re doing.’ Also, all of the management attention is on keeping up with the revenue growth—feeding fuel into the engine—not necessarily building infrastructure and processes to efficiently manage the company over the long run. During the early years of Yahoo’s growth, various policies and programs were put in place to fuel the growth, to attract technical talent. Arrogance and hubris made it feel invincible, and luxuries were built into the culture. Arrogance and hubris. That was when they were riding high, one of the most successful Internet companies. During that same time, they implemented one of the most liberal WFH programs possible, which gave them an advantage in recruiting. In fact, many people were recuited to work there just because of the promise of being able to work from home. So they had a very rich entitlement policy, but nobody managed it—they were all too busy enjoying the company’ success and growth rate. Then, hard times hit and the correction cycle came around. The management team didn’t know how to reign in the bloated structure, or transition the culture to one focused on cost-effectiveness and productivity. People started abusing the liberal policies, and the managers couldn’t control the employees’ behavior. According to reports, Mayer decided to change the WFH policy when she grew frustrated seeing empty employee parking lots. Banning all WFH is an admission that the company can’t manage the policy. When the company and its employees lose the advantages of innovative programs due to blanket top-down dictates because a small percentage of employees and managers can’t manage their behavior, the larger percentage of employees—and overall productivity–suffer. Note: Another company that once did very well, but now has fallen on tough times—Best Buy— recently announced a similar ban on all flexible hours, closing a program that had been viewed as an industry leader. Chances are, managers needed help, rather than the cessation and banning of the policies. 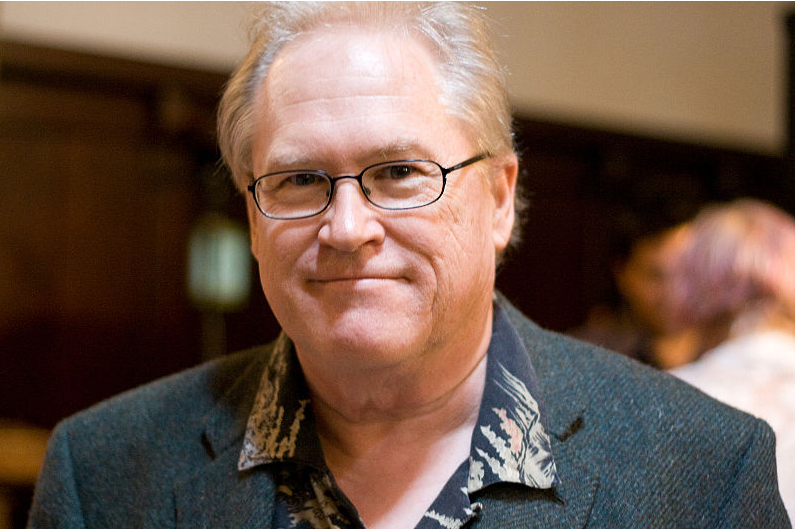 John C. Dvorak, a graduate of UC Berkeley, has been all over the media in recent years, busy as a technology pundit and columnist. In a column just published in that old standby, PC Magazine, he references Larry Ellison’s comments about the Cloud that we discussed in this space recently. The surprise is that Dvorak seems to agree with Ellison. Although Mr. Dvorak has been official in-house geek and tech-pundit extraordinaire for all sorts of media outlets, including NPR,the NY Times, and Tech TV, he is not very accurate in his belittling description of the cloud. Really, John? The whole Internet is a conspiracy, and THEY are trying TRICK us? Whoa! If anything, Mr. Dvorak is one of THEM, one of the tech-savvy elite power structure. 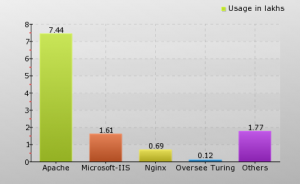 But claiming that Cloud Computing is just client/server is simply wrong. Like Mr. Ellison, Mr. Dvorak ridicules what he clearly doesn’t understand. Like Ellison, all he sees are products, “remote servers, as I would prefer they be called,” he says. 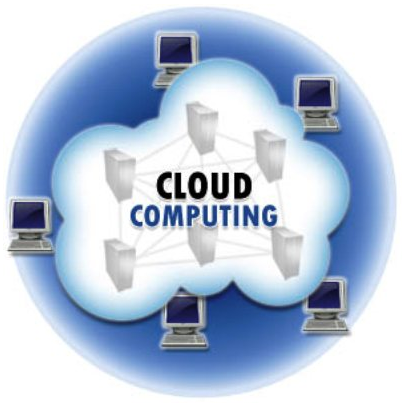 He misses the point entirely that Cloud Computing refers to a service—it’s about how the information processing is delivered, not what is delivering the processing. And delivering processing power to endusers on an as-needed basis, with no capital investment required by them, liberates them. It enables small businesses to get access to the same sophisticated databases and applications that the giant corporations use. Before Cloud Computing became available, only very rich, large organizations could afford the infrastructure to manage Big Data. Using the Internet to leverage computing capacity creates a level playing field, with small and medium players being able to compete equally. I would think that Mr. Dvorak’s Berkeley sensitivities would welcome such a development. 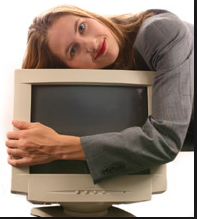 At Blazing Systems we practice “human-centric” technology. We design and develop web-based technology that starts and ends with human interface as the priority. Our clients start with ideas about what they want to communicate and achieve with their website—They know the people-oriented requirements, and it’s our job to help translate those requirements into a functioning technical product . To do this successsfully, we need to listen and then translate into what is possible. One of our first goals with each new client is to de-mystify technology, to simplify it, so that clients can decide which options are best for them. Too many technology companies take a product-centric approach, and seek to inflict pre-conceived technical solutions on people. We make technology more human,and that starts a process that results in websites that people like—they get a site that is more what they want, they are more a part of the design process.This is important, because they know what will connect and work best with their customers. We recently completed a new website for a client that demonstrates how the human factor works. EP Energy Solutions president, W. David Wallace, worked with us to design a website that speaks to his customers and prospective customers in ways which he knows are most effective. As you can see immediately when you visit the site, http://epenergysolutions.com/, you are greeted by afriendly photo of David that introduces him and personalizes the content.The photo is casual and candid–not formal and photo-shopped—-friendly and honest. He knew that people are most interested in, and would look at, videos and high-impact graphics. He wanted the site to convey the core values of friendly honesty. Instead, the whole right side of the index page is devoted to video streaming and some nifty heat map images of heat escaping areas that most people have in their homes. The website development process took David’s vision of what will work best for his folks, and built technology that delivers that vision to people who visit the site. From one person’s vision to multiple persons viewing, web-based technology works efficiently for people when you use a human-centric methodology.